In this white paper you will understand why Sencillito, ServiPag & Multicaja is an excellent way to reach 100% of all the Chilean online market. Local payment methods such as Sencillito, ServiPag & Multicaja are essential to reach the entire Chilean consumer base. 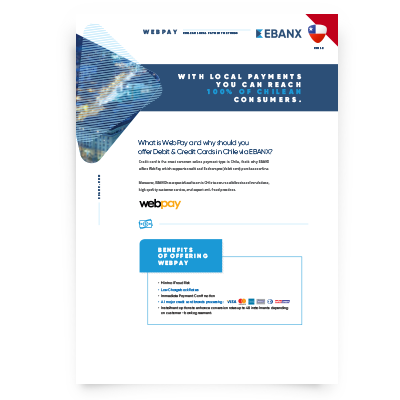 EBANX has specialized staff for business in Chile, an expert fraud team, and comprehensive end consumer marketing for higher conversion rates. Access all this information by filling out the form on the right to download the white paper.